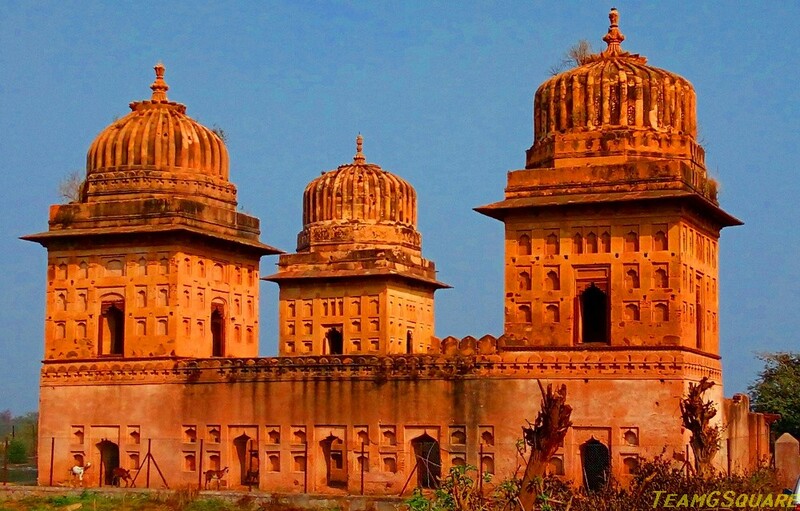 The Bundela Rajputs built many palaces in Orchha which today stand tall, giving testimony to their amazing construction skills. 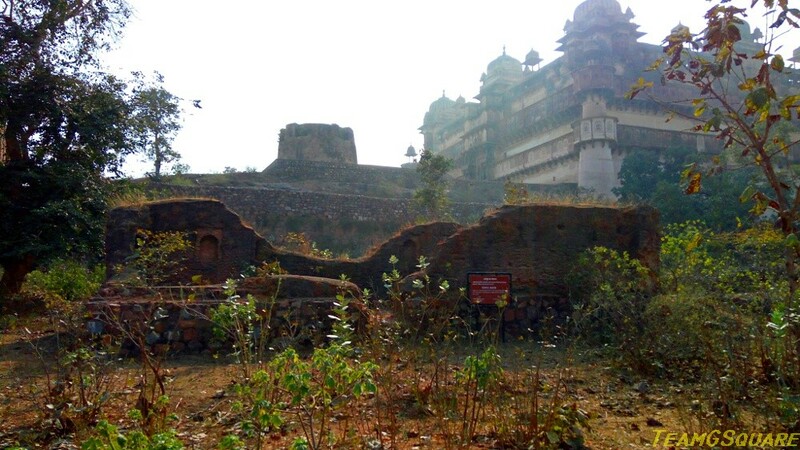 Our guide was explaining various stories/legends associated with the Bundela kings and the many palaces. The most interesting one is of king Madhukar Shah, who was a staunch devotee of Lord Krishna and Rani Ganesh Kunwari, who was a staunch devotee of Lord Rama. Differences cropped up between the king and queen due to the gods they believe in and despite the king's tremendous effort to convince the queen that both gods are one and they are just different avatars of Lord Vishnu, she remained skeptical. The royal priest Pandit Hariram Vyas also tries to pacify the queen, but in vain. In anger, the king tells his queen to leave to Ayodhya and only return with her Lord (God Rama). The queen promises the king that she would return only with Lord Rama and leaves to Ayodhya. She does rigorous penance to impress Lord Rama which goes in vain, and in anger shouts that she would drown herself in the river Sarayu if he did not turn up. Finally being impressed with her devotion, Lord Rama gives her his darshana and appears in front of her. She narrates her story to the Lord and pleads him to accompany her to Orchha. He agrees to accompany her, but sets in 3 conditions; that he would travel only by foot, his journey from Ayodhya will only start once the Pushya star sets in and would continue till that star remains in the sky, and the final condition being that he would reside in the first place and would be the only king there. During this time, king Madhukar Shah constructs the Chaturbhuj temple to house the Lord in alignment with Raja Mahal. 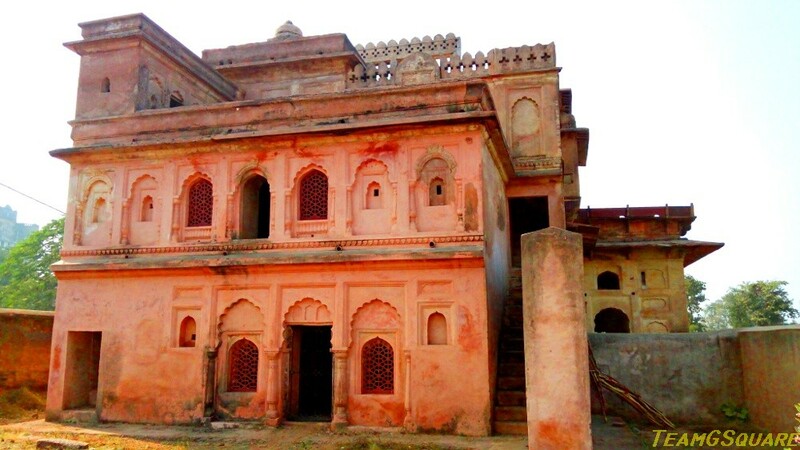 Upon reaching Orchha, it was evening and as the Lord was hungry, they decided to stay in the Rani palace. 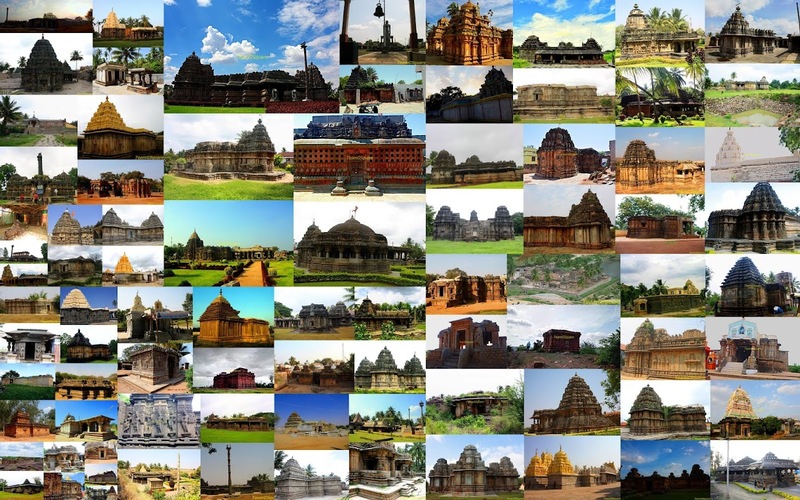 The Lord thus remains here as per his condition which is how the palace came to be known as Rama Raja Temple. The Lord Rama here is worshiped as a king. 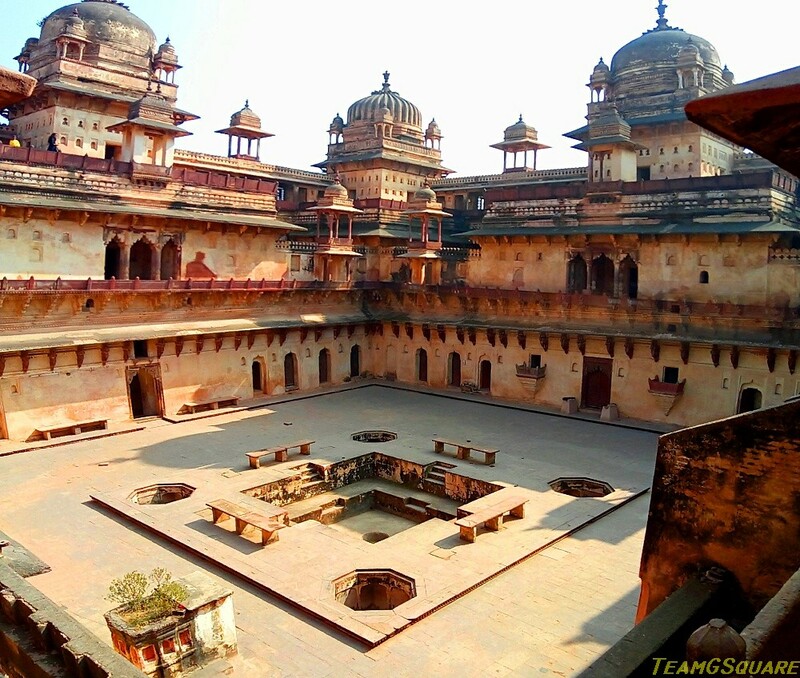 Raja Mahal: The king's palace was one among the earliest of buildings in Orchha, built in 1538 A.D by Maharaja Rudra Pratap. This palace was inhabited for more than 200 years and has undergone various additions and alterations during the reign of various kings. This palace has fortress-like walls for maintaining the privacy and also for security. The Raja Mahal has many miniature and large paintings on its walls and ceilings. 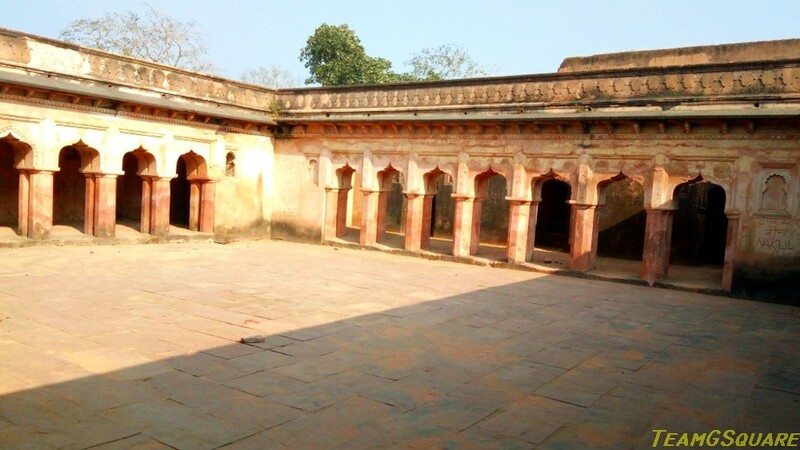 Jahangir Mahal: As per legend, Jahangir Mahal was constructed for Jahangir by Vir Singh Deo and Jahangir stayed here only for a single night. Indo Islamic architecture specialist Percy Brown says that, this palace fulfills all the conditions to be called as Classic Indian Medieval Castle as it is picturesque, artistic and romantic. The welcome gateway of this palace is a marvelous piece of art work. Sheesh Mahal: Formerly a glass palace, this is now converted into a heritage hotel by the MPTDSC and was built post the downfall of Orchha as a retreat for the Royal Family. At the top are the remains of shimmering tile work that once adorned the entire facade which gave it the name Sheesh Mahal. 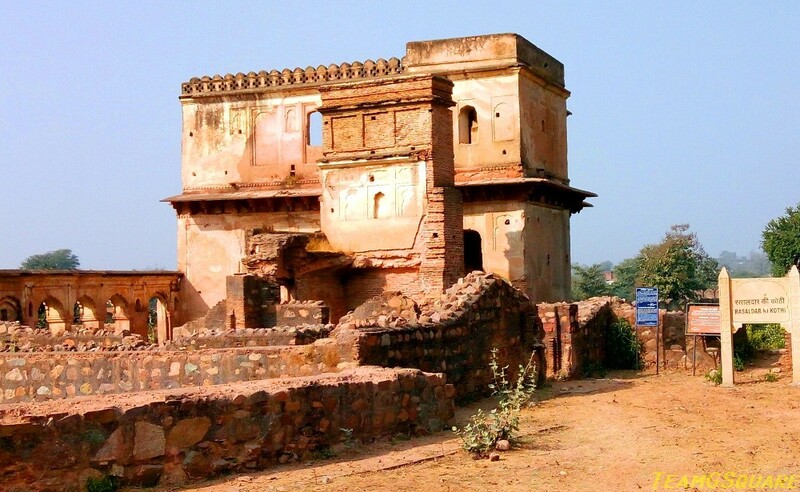 Rai Praveen Mahal: This palace was built by Prince Indrajit Singh for his beloved Rai Praveen. It is a three storeyed palace surrounded by gardens on all sides, popularly known as the Anand Mahal Bagh. Akbar was impressed by the voice of Rai Praveen and wanted her to stay in his court but she refused to do so and returned to prince Indrajit Singh. This palace has some beautiful paintings of Rai Praveen in different moods. Dasiyo Ka Mahal: This is the best surviving example of Jain Bhavan built in the late 17th century. It is known to have been the residence of a minister in Royal court. 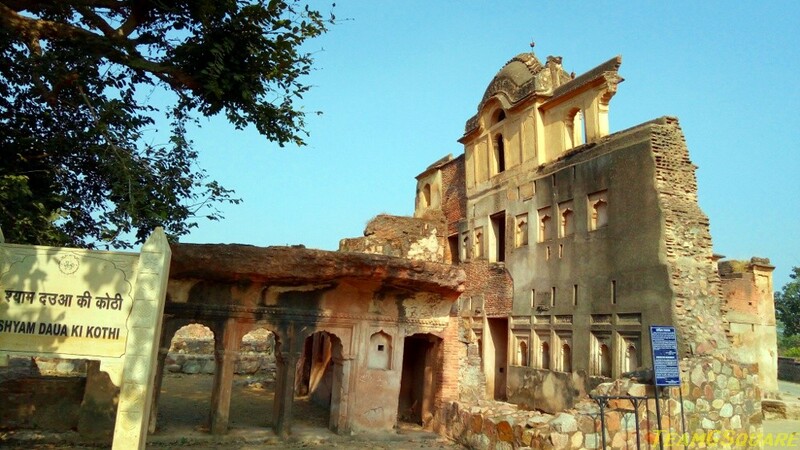 There are many residences spread across Orchha such as the Ohja's House, Shyam Daua ki kothi, Daroga ki kothi, Dauji ki kothi, Himma - Hamir ki kothi and many others. Amazing place. Thanks for the informative post. Awesome read with mesmerizing captures. Beautiful palaces. I loved it. These are gorgeous structures. The architectural details are amazing. Thanks for sharing these photos and all the interesting history about them.